I’m almost embarrassed to admit how often, when I’m midway through making a recipe, I need to do a little Googling in order to confirm that I know what the recipe is actually supposed to be. What can I say: no matter how much I cook, I’m always a student in the kitchen. Anyway, that’s how it was with this smoky butternut squash, tofu & apple breakfast hash. I was about to plate it when I realized that my definition of hash was slightly hazy. A breakfast dish with chopped ingredients, usually involving potatoes? Hash is a culinary dish consisting of diced or chopped meat, potatoes and spices that are mixed together and cooked by themselves or with other ingredients such as onions. The name is derived from the French: hacher meaning “to chop”. I’ve only ever made vegan hash, but any time I try my hand at the dish I try to include a vegan meat or another hearty protein source, preserving the meat portion of the original recipe. And while I’ve often made hash with sweet potatoes, this time I wanted to try it with another root vegetable, butternut squash, and some onions and apples for one of my favorite, seasonal sweet/savory combinations. The big liberty I took with this recipe was to roast the squash and apples, rather than cooking them in a skillet, which is the traditional way with hash. I like this because it’s slightly more hands-off, and also because the squash gets crispier when I cook it this way than it does when I make it on the stovetop. I still use the stovetop, though, to sauté other ingredients. Shaved Brussels sprouts for a little green, onions for savoriness and flavor. And Super Firm Cubed Tofu from Nasoya, which may be one of my favorite new meal hacks. For all of my years supporting Nasoya products, I haven’t yet tried these pre-cut, super convenient cubes. They’re the perfect size for hash, and they fit nicely into this recipe, but I’m also so happy to have them on my radar for stir fries, sheet pan meals, and more. I don’t mind cubing tofu, but these cubes are super uniform and smaller than the ones I usually cut. They’d be perfect for tofu egg salad! 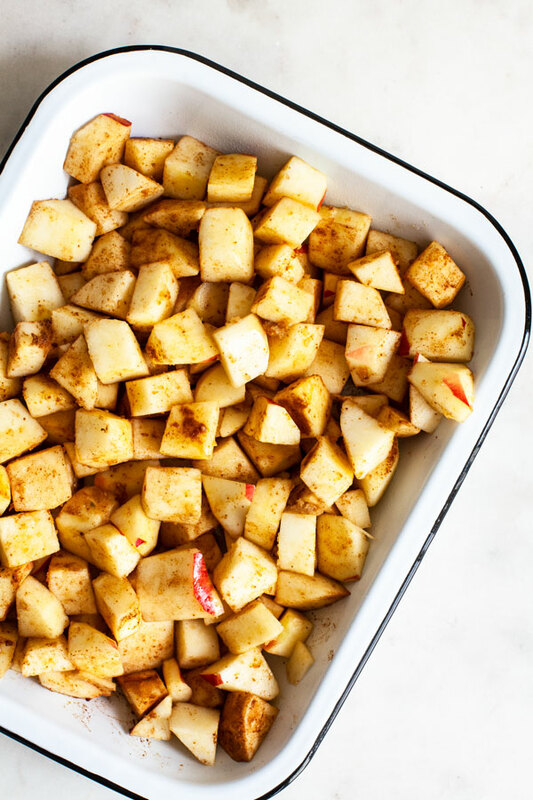 I roasted the squash and apples first, and then—while the squash was getting nicely crispy on the outside, tender on the inside—I sautéed the tofu cubes with smoked paprika and coconut aminos. I added onion and Brussels sprouts, and by the time everything was tender, the squash and apples were practically ready. 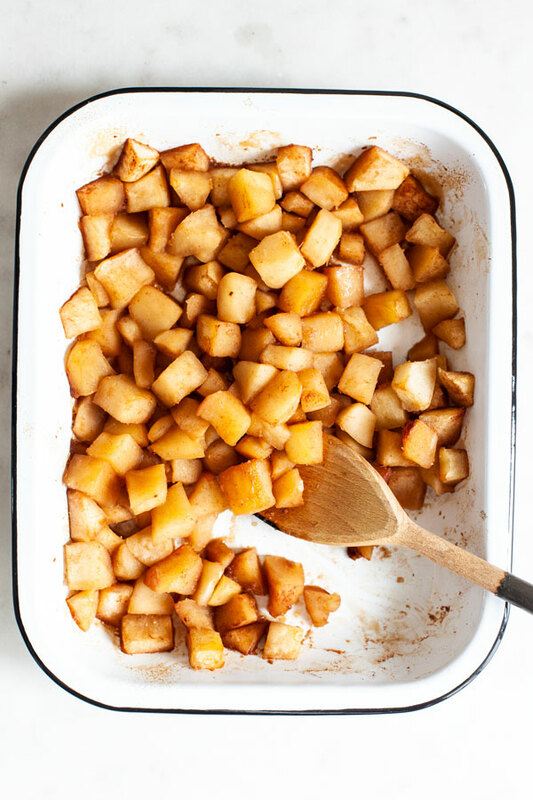 I folded everything together, added a pinch of salt and a splash of apple cider vinegar, and voilà—a beautifully autumnal, simple, flavorful breakfast dish. It doesn’t have to be a breakfast dish, of course. I’ve been serving it with toast or a sprouted English muffin and a little Earth Balance in the mornings, but I’ve also had it with brown rice for dinner. 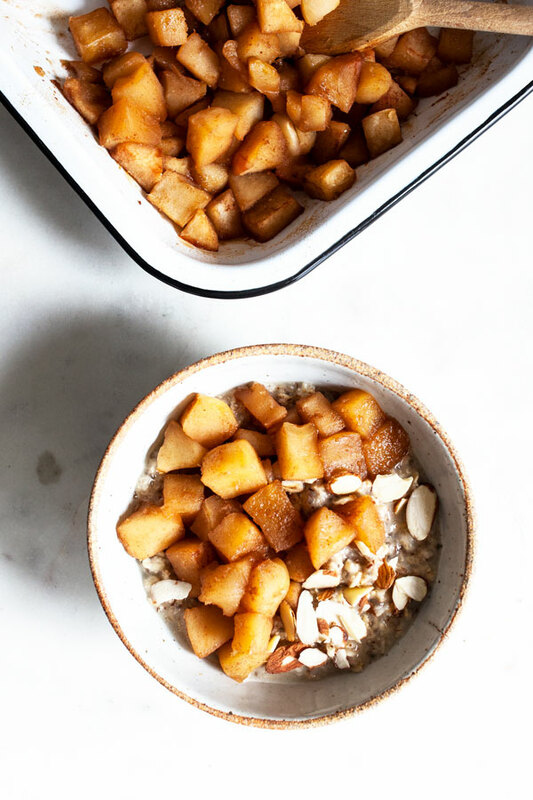 The dish is rich in protein (something I’ve noticed really does make a difference in my morning energy levels) and easy to customize with different or additional veggies. I’d love to try it with parsnips, rutabaga, or the addition of some collard greens. Making it so far, I’ve kept the hash mild, which is what works for me at breakfast. If you’d like to kick up the spice with a nice pinch of cayenne or a drizzle of hot sauce, I’m sure that would be delicious, too. Here’s the recipe. Preheat your oven to 400F and line a baking sheet with parchment or foil. Toss the squash and apple with 1 tablespoon of the oil. Transfer the mixture to the baking sheet and add salt and pepper. Roast the squash and apples for 35 minutes, or until tender and crisping at the edges. Meanwhile, heat the remaining tablespoon oil in a large, deep skillet over medium heat. Add the tofu cubes, smoked paprika, and coconut aminos or tamari. Cook the cubes, stirring frequently, for 5-6 minutes, or until they’re getting crispy. Add the onion. Continue to cook for 5 minutes, or until the onions are tender. Add the Brussels sprouts and cook for 5 more minutes, stirring frequently, or until the sprouts are crisp tender. When they’re ready, fold in the roasted squash and apples. Add the vinegar. Stir everything well, then taste and add salt and pepper (black or cayenne, depending on how hot you want the hash to be) and additional vinegar as needed. Serve with toast, a grain, and hot sauce if you like. I’ve been relying a lot on baked oatmeal lately for portable/quick breakfasts, but making this dish reminded me of how lovely it is to have a great, savory breakfast at the ready. Savory breakfasts used to register as a weekend brunch treat for me, but I’ve warmed up to them a lot in recent years, relying on them as often as I do the sweet options. This hash is a nutritious new favorite, and it keeps well for up to 4 days in the fridge, which means it’s perfect for advance meal prep. As always, so glad to have convenient, healthful plant-based products available these days, so that cooking something tasty can feel just a little more accessible, even when life is moving fast. Hope you enjoy this smoky, sweet, savory meal—and wishing you a wonderful rest of the week. This post is sponsored by Nasoya. All opinions are my own, and I love this go-to brand of tofu and other creative soy products! Thanks for your support. ready-to-eat breakfast was a lifesaver. Plus, it was often freezing in NYC, and something warm and sweet hit the spot. I foresee plenty of baked oatmeals (or baked oatmeal cups) in my future before the winter is over, but I’m officially getting tired of the repetition. And I’m missing savory breakfast, which is, as most of you know, one of my favorite things. A new tofu scramble to the rescue. It’s not actually new, because I was making it a lot this past fall. But it’s been a hot minute since I whipped up a new batch. There are countless tofu scramble recipes that I love and rely upon, but this one has moved pretty quickly to the top of the list. It’s super fast, super easy, and, because it features black beans and kale as well as tofu, it’s especially high in protein (around 20 grams per serving). A protein-rich breakfast, as I’m continually telling (or hearing my preceptors tell) patients these days, can help to keep one fuller longer. Not something I have to give too much thought to when I’m working from home and can easily reach for a snack whenever I get nibbly. But it’s a serious consideration for me this year, with a schedule that includes long commutes, packed mornings of patient appointments, and not always being able to eat when I planned on eating. The other special feature of the scramble, aside from the beans, are the scallions. They replace onions, which I usually add to my scrambles, and they’re perfect for my busy weekends of batch cooking because they cook through faster than onions do. You’ll see that I also add a bit of tahini to the scramble; it sounds a little odd, but it’s a trick I learned from this scramble recipe years ago. It makes the scramble ever-so-slightly creamy (imagine soft scrambled eggs, vs. drier ones). And the healthful fat makes the scramble extra satiating, too. Here’s the recipe. Heat the oil in a large, roomy skillet over medium high heat. When the oil is shimmering. Cook for 3 minutes, stirring frequently, or until the white parts of the scallions are tender. Whisk together the tahini, water, lemon juice, turmeric, and salt. Crumble the tofu into the skillet, breaking it into bite-sized pieces or smaller (this can be up to you: some folks like a chunkier scramble, others don’t—I’m in the latter camp!). Add the tahini mixture to the skillet, followed by the nutritional yeast, and mix well to incorporate. The tofu will turn a nice, golden color. Fold the black beans and kale into the scramble. Continue cooking for another 3-5 minutes, or until the kale is tender. Season the scramble to taste with extra salt and freshly ground pepper as needed. Enjoy! 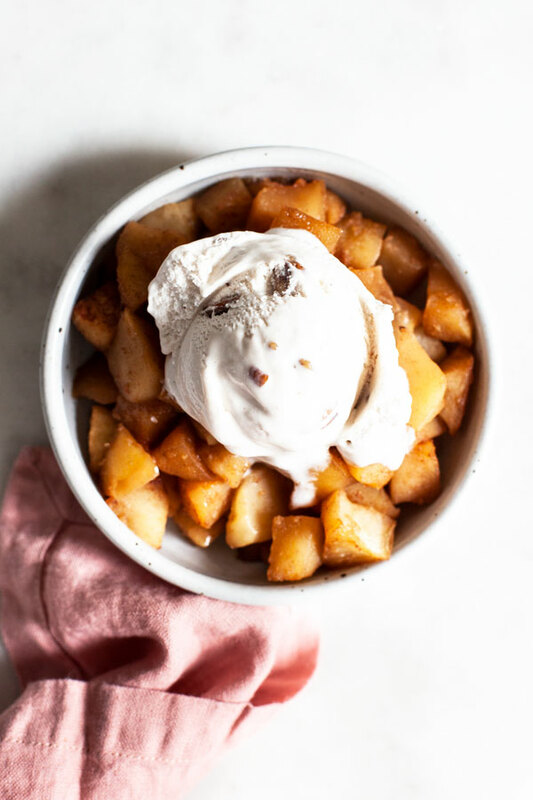 Sure, baked oatmeal is a fabulous make-ahead breakfast, but so is this: I usually make it on Sunday and enjoy it for the first three weekdays of a new work week. To serve, you can pair it with whole grain toast, an English muffin, corn tortillas, a whole grain, sweet potatoes or regular potatoes—plenty of serving options. If you’ve got some extra veggies to add, even better. Wishing you a new week full of nourished mornings. I’ve got two weeks left at my current rotation; change is really the only constant this year! Thank goodness for grounding breakfasts. 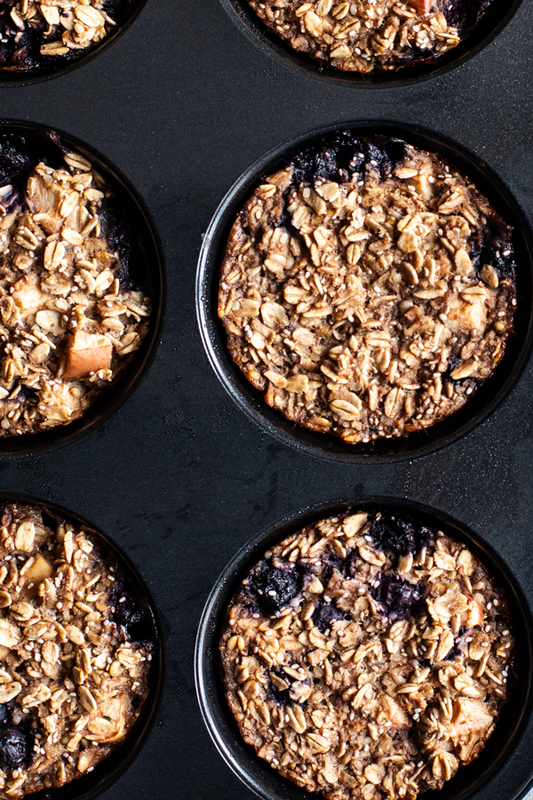 It’s no secret that baked oatmeal is one of my favorite, make-ahead breakfast options. I love warm oats, and for most of the last few years it’s been no trouble to cook them on the stovetop, traditionally. When I’m rushing out the door, though—and lately, that’s how mornings seem to go—simmering even rolled oats can feel time consuming (plus, there’s the saucepan to wash). During my post-bacc, I relied on overnight oats nearly all of the time. 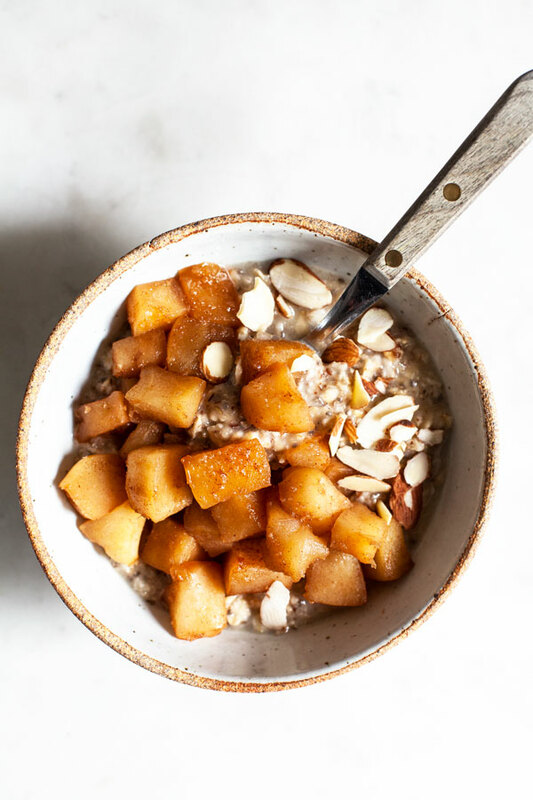 In recent years, overnight oats haven’t been my preference except when it’s very, very hot outside: I’d nearly always rather have oats that are warm and a little denser than overnight oats. So, baked oatmeal to the rescue. I love muffins and anything shaped like a muffin, but one of my challenges with muffin baking is that the muffin size always feels a little stingy. Lately I’ve been on the hunt for a larger sized muffin tin, which is why I’m happy I found McDonald Paper Company. It’s a local supplier that sells restaurant equipment, but also cutlery, cookware, baking supplies, parchment, kitchen and food prep tools, stainless steel food pans, storage items, and much more. 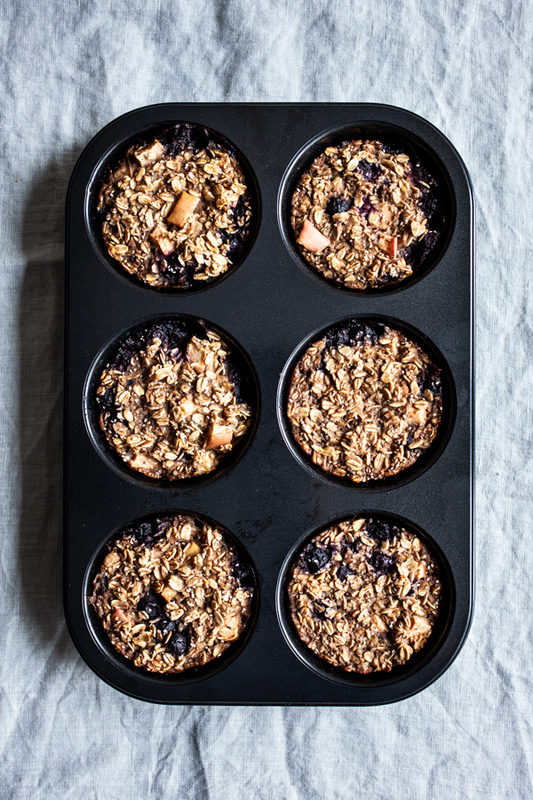 And the site just happens to feature a six-cup muffin pan that’s roomier than usual. It’s a win-win for me: bigger portion size, fewer muffins (living on my own, having a dozen usually means shuttling extra to the freezer). Years ago, when one of my closest friends was in culinary school, she advised me that restaurant supply stores are one of the best places to find a huge array of bakeware and cookware at great prices. I’ve visited a few here in NYC, often when I’m looking for a kitchen tool that’s offbeat, and now it’s great to know of an online option. In addition to the muffin pan, which I love, I got some of McDonald’s parchment paper for baking and for the many batches of roasted veggies I’ve been batch cooking each weekend! 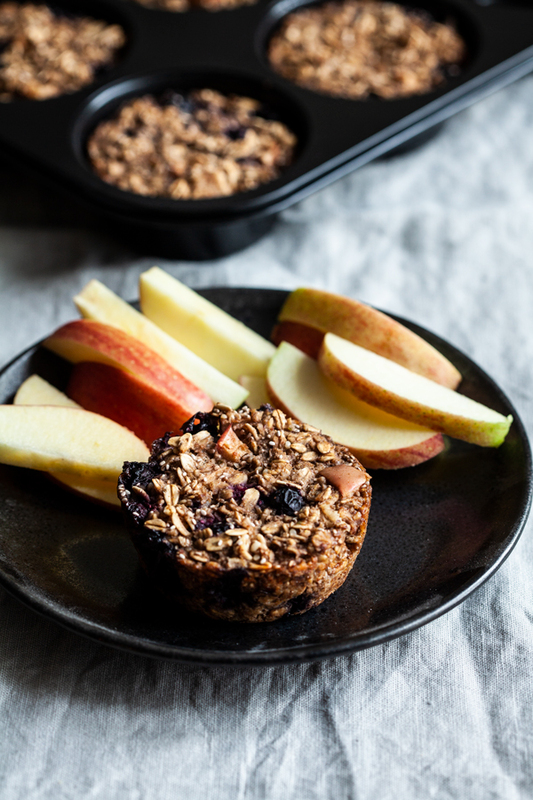 As for the baked oatmeal cups, they’re stuffed with all of my favorite breakfast-y things: fresh fall apples, frozen blueberries, hemp seeds, flax, chia. 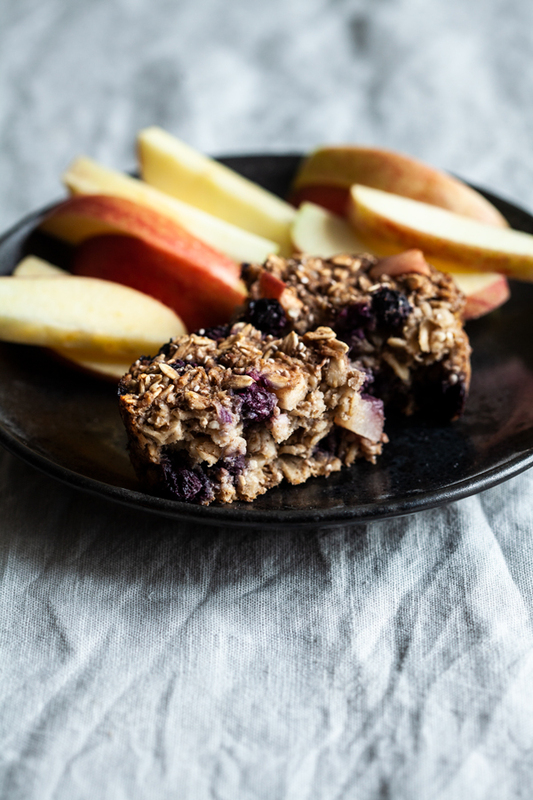 They’re sort of a hybrid of this blueberry banana oatmeal bake and these oatcakes. They’re more portable than the former, less dense and dry than the latter, and probably my favorite recipe of this kind to date. Here they are. Preheat your oven to 350F and spray or lightly oil a muffin pan (6 large cups is great if you have one like this, but you can also make smaller cups in a 12-cup pan—you’ll probably get about 10). Mix together the oats, salt, cinnamon, flax, chia, hemp, and fruits. Whisk together the milk and applesauce. Mix dry and wet ingredients. Scoop the mixture into your muffin pan, filling the cups all the way to the rim (these won’t rise). Bake for 35 minutes*, or until firm on the top and browning slightly at the edges. 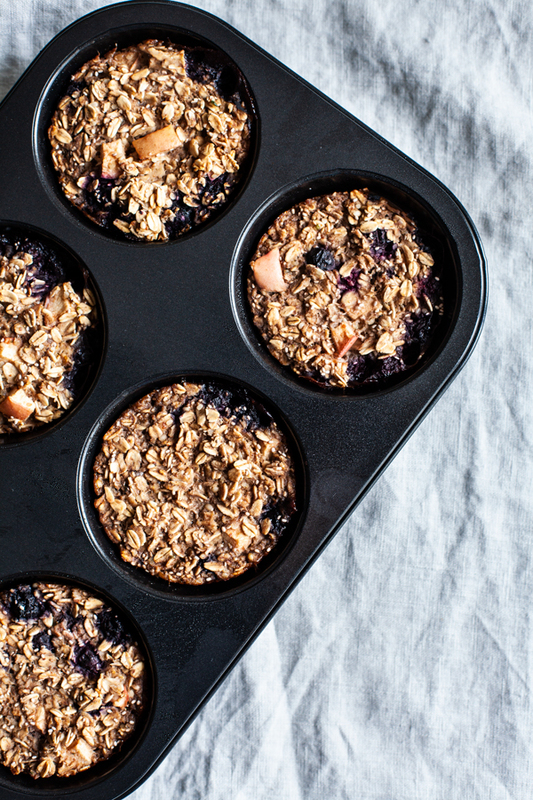 Allow oatmeal cups to cool before serving. *If you use a standard muffin tin and have about 10 muffins, I recommend baking for about 20-25 minutes instead. I’ve been serving the cups with some peanut butter and sliced apple, as you can see. They’re great with a banana and a squeeze pack of peanut and almond butter if you’re on the go (I confirmed that yesterday, when I had a particularly rushed morning). 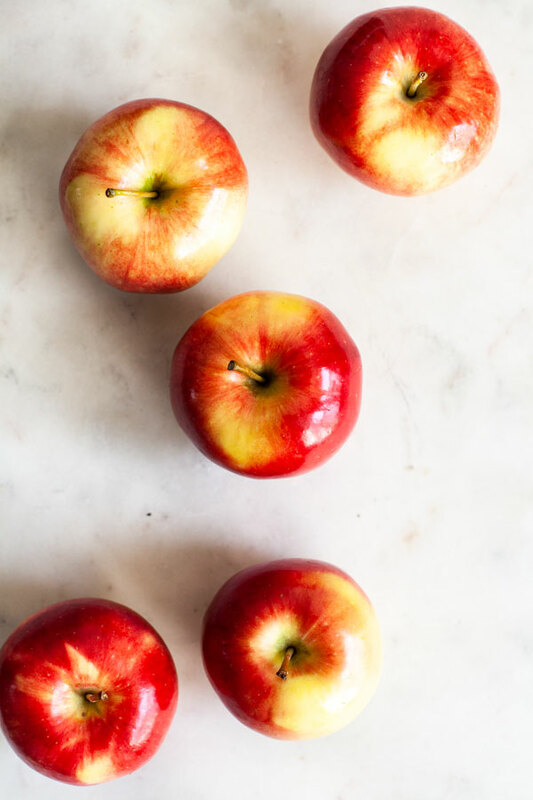 They’re also a great, filling snack option. If you’re especially hungry, a double portion is nice and hearty. I’m sure I’ll be making these throughout the year, using different kinds of fruit and different seeds/nuts. 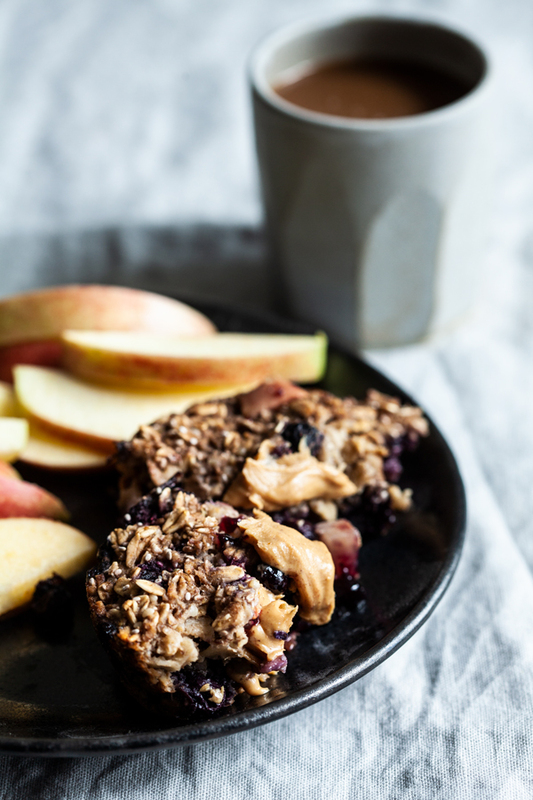 Nowadays, with all of the schedule change that’s underway and all of the adjustment, having a comforting and familiar breakfast feels sweeter than ever. Enjoy—and happy almost Friday! This post is sponsored by McDonald Paper Restaurant Supplies. All opinions are my own. Thanks for your support!